This Dribbble post doesn’t actually offer a freebie. It showcases a download page design. However, *that* download page actually offers freebie. So, well, I included it. They’re iPhone wallpapers, by the way. 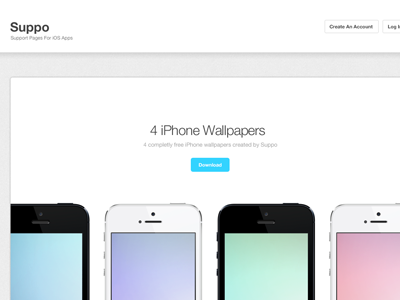 Suppo Wallpapers Freebie Page is a free Wallpaper design resource made by Dribbble user Jamie Peak. As far as I can tell, its license is Personal Use Only.